C. J. Box is the author of nine novels including the award-winning Joe Pickett series. He’s the winner of the Anthony Award, Prix Calibre 38 (France), the Macavity Award, the Gumshoe Award, the Barry Award, and an Edgar Award and L.A. Times Book Prize finalist. Box was named 2007 “Writer of the Year” by the Rocky Mountain Fiction Writers. His short stories have been featured in America’s Best Mystery Stories 2006 and limited-edition printings. The novels have been national bestsellers and have been translated into 14 languages. BLUE HEAVEN, a stand-alone thriller, was published by St. Martins Press in January 2008 and was on the extended New York Times bestseller list for four weeks and was recently optioned for film. BLOOD TRAIL, the eighth Joe Pickett novel, was published by Penguin/Putnam in May 2008. 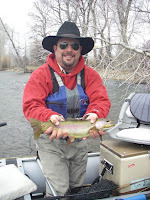 Box is a Wyoming native and has worked as a ranch hand, surveyor, fishing guide, a small town newspaper reporter and editor, and he co-owns an international tourism marketing firm with his wife, Laurie. An avid outdoorsman, Box has hunted, fished, hiked, ridden, and skied throughout Wyoming and the Mountain West. He serves on the Board of Directors for the Cheyenne Frontier Days Rodeo. Box lives with his family outside of Cheyenne, Wyoming. Box will appear on the Equality State Book Festival panel, “Making Up Stories in the West,” at 2:45 p.m. at the Nicolaysen Art Museum in Casper on Saturday, Sept. 20, and will be available to sign books after the panel.